I often have friends asking me how to make certain dishes we make our little one. So, I decided to start a five-week series on my favourite baby foods. Each week I will give you one of my favourite recipes for 9-12 months olds. What makes these so special? They’re family-friendly! Just a couple of tweaks and you have a grown up recipe too! Now, I’m not a nutritionist, I’m not a doctor and I’m not a chef. I am just a girl who loves her food and believes in giving my daughter tasty, balanced meals. The only time my baby has had packet food was when circumstances prevented us doing otherwise (we were overseas, there was no supermarket and no self-catering facilities). If your baby, like mine, doesn’t like bland foods, follow my blog for the next five weeks as I share with you my top five baby foods! I know, what a cop-out, I start with an easy one! One that everybody makes. Nevertheless, it took me several tries to get little miss to eat this family staple. And it was a few adjustments that made all the difference. So, here we go. I small handful of spinach – washed and finely chopped. Serves two adults, makes one freezer meal for two and four baby freezer meals. Place a medium saucepan on a medium heat with a drizzle of olive oil. Once heated add the onion, garlic and butter and turn down to a low heat with lid on. Let sweat for five minutes or until soft. Once the onion is soft, take off the lid and add mince, some salt and pepper and milk, stirring until lightly brown (the milk breaks up the mince nicely, and you wouldn’t even know it’s there in the final product). Then add the carrot and tomato puree, stirring for a minute, before adding the tins of tomatoes. Then leave to simmer gently for about an hour and a half – you can take it off sooner, but I love a thick, rich ragu. While you’re waiting for your sauce to thicken, boil your sweet potato cubes in water for about 20 minutes, or until soft. Drain and blend with your spinach until smooth. Once you’re happy with your Bolognese, add the Worcestershire sauce and fresh basil and stir through for two minutes. Check the seasoning and take of the heat. You should have enough Bolognese sauce for four generous adult portions and about four baby meals (going by about three cubes a meal). Freeze half of the remaining spaghetti sauce for another night. Scoop out two and a half generous ladles of Bolognese sauce and add to your sweet potato and spinach mix. Stir through a third of the parmesan cheese. This is your baby sauce. Next, cook your spaghetti in boiling salted water for about 12 minutes. Once cooked, drain, and separate a half portion for your baby sauce. Finely chop the spaghetti and stir through your baby sauce (you can use baby pasta in place of spaghetti if you choose). You should now have four baby meals ready to freeze. Split the remaining spaghetti between two bowls, top with Bolognese sauce and the remaining parmesan cheese. Yummy! Have a younger child? Baby FoodE was my go-to when introducing solids. I love this series! I, too, cooked for my littles. It was so much cheaper than buying packaged stuff, especially with twins. 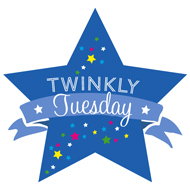 Thanks for linking with #TwinklyTuesday.